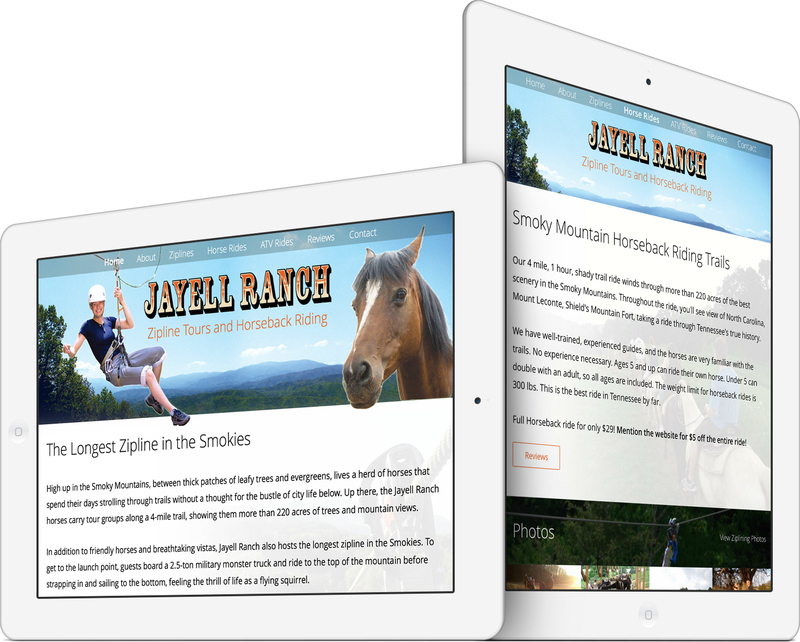 Jayell Ranch’s most recent website design overhaul brings the website into the modern day. The site’s content fits the full width of any screen. The design features rich typography with thin and crisp modern fonts. Each page includes subtle, faded out images on the right side of the page’s content. The photo galleries are full width and enlarge with a beautiful, smooth jQuery lightbox. Google Maps is embedded full width and is fully interactive. The design follows a consistent color scheme including splashes of orange as an accent color. The website’s design is crisp, clean, modern, and smooth. Some of the pages feature a slick parallax effect on background photos. The website’s design is responsive. Tablet (including iPad) visitors see the design tailored to the tablet’s screen. Every pixel fits perfectly on the iPad screen. Smartphone visitors are automatically redirected to the custom built mobile web app. The app resides in the mobile browser, but loads much faster than regular full websites. Each page instantly fades into view so customers don’t quickly lose interest. The content on the mobile-friendly site is easily read on the small screen but it is formatted for the small screen. Tapping on the ranch’s phone number, email address, or physical address automatically opens the respective app on the smartphone, whether it be the Mail, Maps, or Phone app. Pioneer Media also drastically increased Jayell Ranch’s search engine optimization. The website receives significant traffic and interest in the busy seasons. The website also ranks high in search engines, such as Google. Pioneer Media has actively provided website management and hosting services for Jayell Ranch for many successful years. 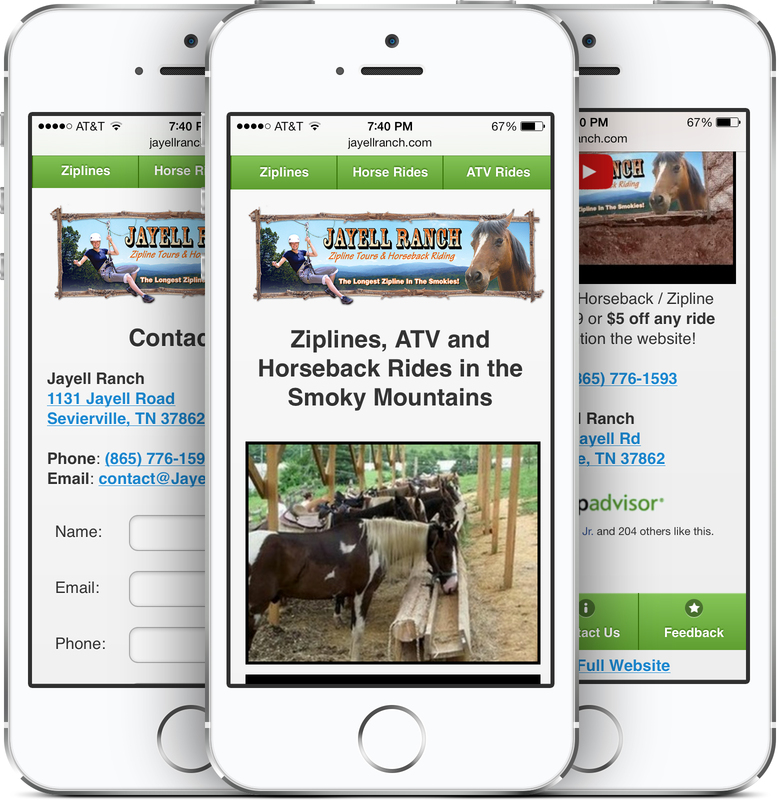 Jayell Ranch offers ziplines, horseback rides, and ATV rides in the Smoky Mountains. They have over 6 exciting, soaring ziplines through the Smokies. The horseback rides are a true adventure. The one-hour trail ride has you riding one of their trained, gentle horses through a rugged trail of dips, turns, and galloping. The ATV ride takes you on an exhilarating one-hour, high-speed ride through the Great Smokey Mountains. 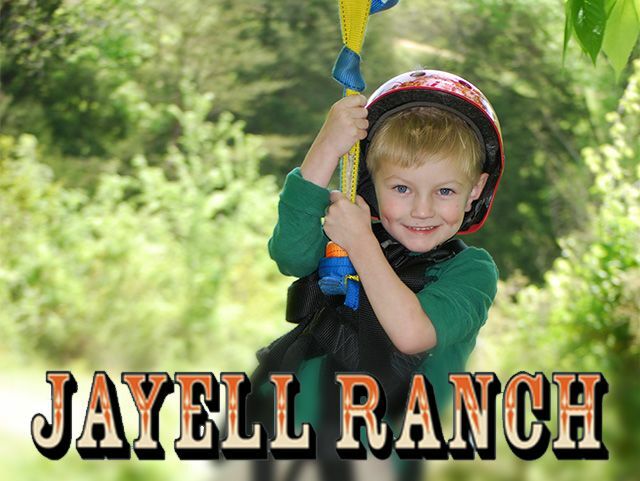 Jayell Ranch is the premier destination in the Smokies for fun and adventure. See the live website at JayellRanch.com.